For the last two weeks I have been busy; being unbusy with school holidays. Two kids have been to camp and the oldest, who is presently unemployed, had a temporary part time job which left hubby and me with loads of free time. The holidays started with Easter, which down here in Dunedin is notorious for bad weather, but this year we have been blessed with the most amazing blue skied, sunny days. Talking about the weather can of course be a cliche, but it really does effect our day to day plans. Would you rather spend a day in bed with a bad bout of sniffles when its cold, rainy and dreary outside or when the sun beats through the windows, making a furnace of your bedroom? I'd pick the rainy day every time. But, when it's sunny I want to be outside listening to the birds, going for a walk or curled up with a good book under a tree, which is what I've been doing these last two weeks. A couple of days ago we drove up and over the hill behind us to Back Beach. 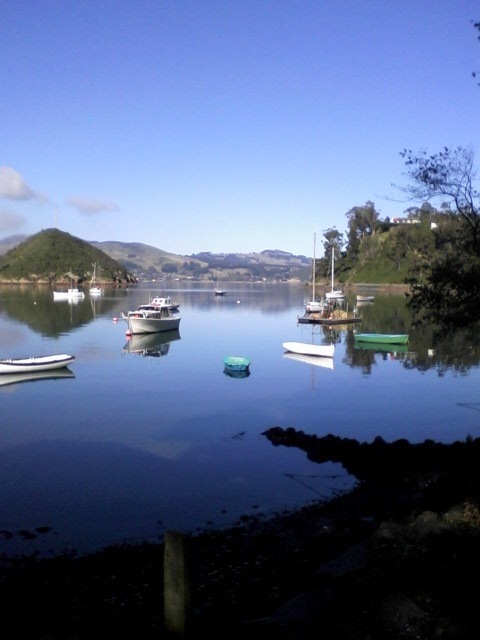 This is a little bay right next to Port Chalmers on the Otago Harbour less than 10 minutes drive from home. Enjoy the photos. Halfway down the hill. It's low tide so you can see the sand bars. 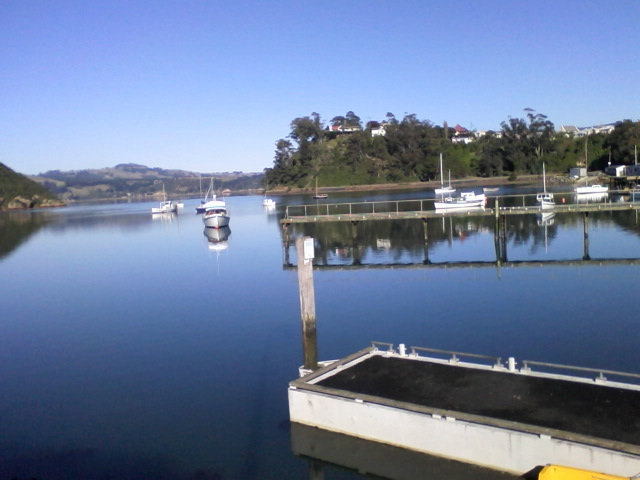 The little hill on the left is Goat Island. For as long as I can remember there has been a flock of geese living here. Friendly ones, thankfully! Looking down towards the Heads. 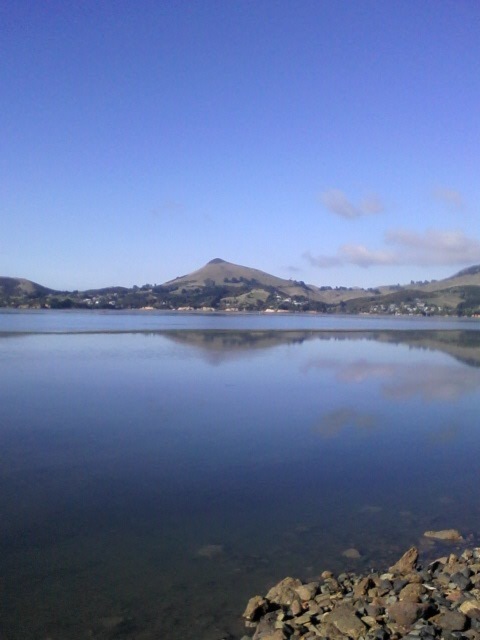 Harbour Cone reflected in the water. 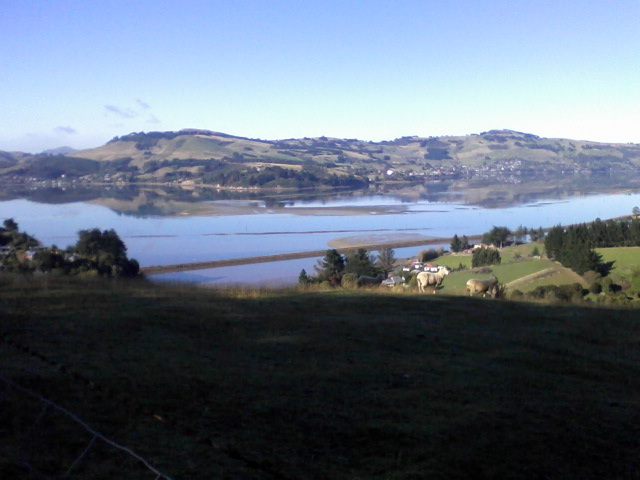 I think it's the tallest hill on the Otago Peninsular. Tomorrow it's back to school, back to Italian lessons and back to normal routines. Only ten weeks until the next school holidays! Next post I will have my writer's hat firmly attached! 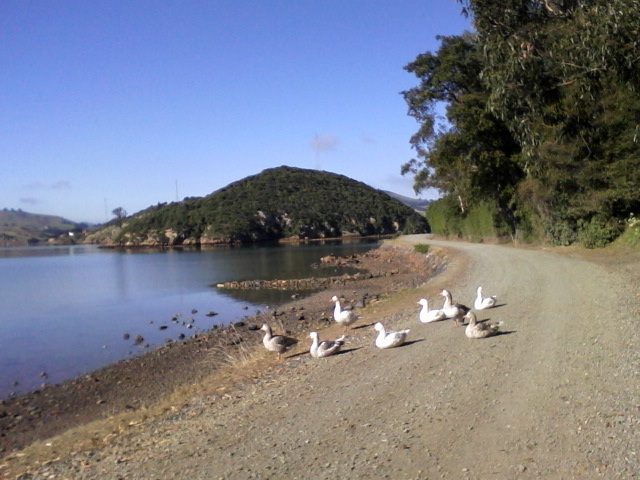 The lake is so clear and the ducks are so cute! What a wonderful place to visit. Yes, it's wonderful to live so close to all this beauty. I love the photos. 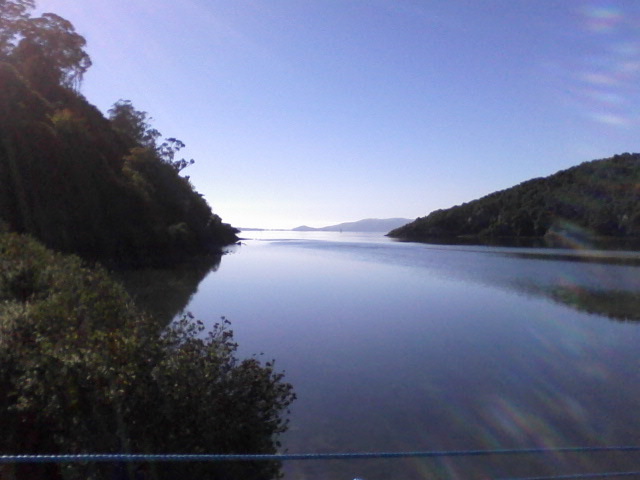 I have fond memories of exploring the peninsular out from Dunedin on one of my forays down south. A very special place. it is indeed a special place. I feel very blessed to live so close. What gorgeous pictures! I'm glad you've been having nice weather. We have, too. So gorgeous, in fact, that it feels like summer has arrived early. So early summers for you and late summers for me! Aren't we blessed.